Dr Dennis Slade's PhD thesis investigated the development of game-centred learning models in physical education and sport coaching practice in New Zealand, from 1954-2015. Image provided by Manawatū Heritage, Palmerston North City Library. 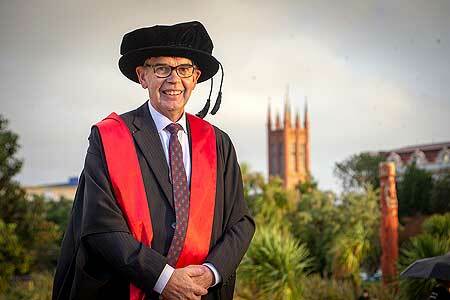 Dr Dennis Slade at his PhD graduation earlier this year. 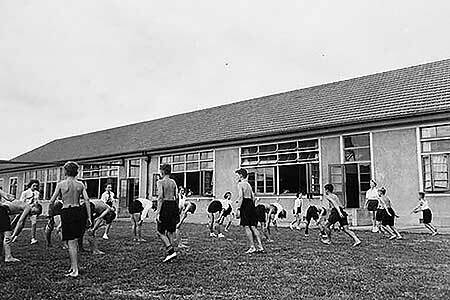 A historical PE class in Palmerston North. Dr Dennis Slade, a senior lecturer from Massey University’s School of Sport, Exercise and Nutrition, has been given the extremely rare and prestigious endorsement of his research in physical education and sport, through a special supplement publication of his research. This is the first time in the 65-year history of the New Zealand Physical Educator journal that a special supplement has been published, with all the articles written by the same first author. The articles come from Dr Slade’s PhD thesis, where he investigated the development of game-centred learning models in physical education and sport coaching practice in New Zealand from 1945-2015. “Like so many before me, the work in my PhD moved from a single form of research methodology, autoethnography [a form of qualitative research in which the author uses self-reflection], to incorporate a multi method approach,” he says. “This allowed me to present ‘truth of the matter’ plausibility to my observations through the triangulation of archival documents, literature and conversations with significant people that provided a compelling analytical focus to the research. This research resulted in a chapter within the PhD with a very strong historical perspective,” Dr Slade says. It is from this chapter that the subsequent articles have been written that are presented in the special supplement published by the New Zealand Physical Educator journal. 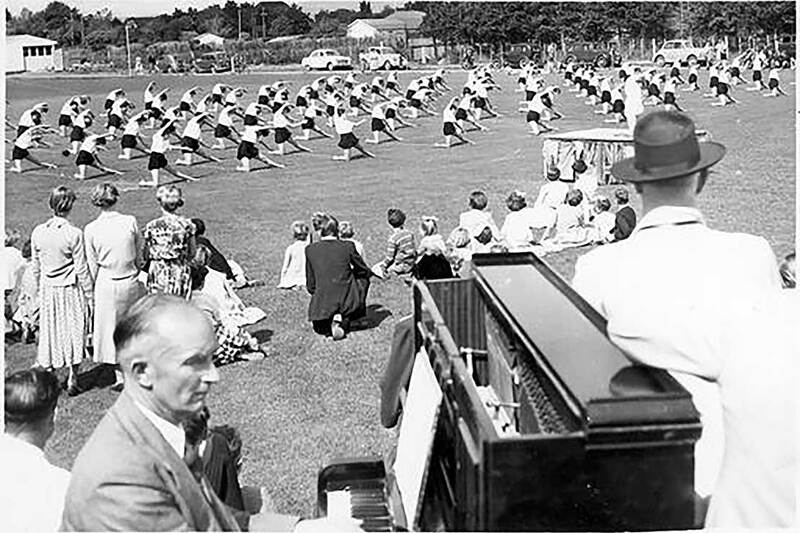 The journal editor was keen to enhance the publication with some historical images of PE in New Zealand and Dr Slade gained permission to publish such images from the Palmerston North City Library site Manawatū Heritage that show PE activities within a historical context in two local schools. Dr Slade also notes the contribution and direction of his two PhD supervisors, Professor Andy Martin from the School of Sport, Exercise and Nutrition and Dr Geoff Watson from the School of Humanities, who are co-authors on each of the articles. Read the special supplement in the New Zealand Physical Educator journal ‘The Evolving Development of Teaching and Coaching Games and Sports in New Zealand’ here.